The Canal between Framilode on the River Severn and Inglesham on the river Thames was first opened in 1789 and, for much of the distance to the summit, the canal follows the course of the river Frome, a relatively short tributary of the River Severn that rises above Sapperton near Misenden. The Frome valley forms one the famous Five Valleys that confluence just to the west of Stroud. It is the use of the water running down these valleys particularly for the woollen industry that gave the wealth to the area and this valuable commodity has been actively managed and controlled for centuries. Since the start of industrialisation, the fast flowing and clean water that flows down the Cotswold edge from limestone rocks offered an ideal source of power to mechanise the woollen and other industries, and the harnessing of the power of the water via multiple Mills located along the 5 Valleys was instrumental to Stroud’s growth and wealth. The largest of these valleys is the Frome Valley, and the canal follows this valley. It is known as the Golden Valley partly due to the huge wealth that was created along the river, and partly due to the golden colour of the local stone used. The topography of the valley is distinct, being split into two sections: The upper reaches are characterised by a steep narrow valley with little flood plain and resulting in a fast flowing, powerful small river which is ideal for water-powered mills which ends at Stonehouse, followed by a wide, slow second section where the river meanders across a flat, wide plain which even today can only support agriculture and is prone to flooding. 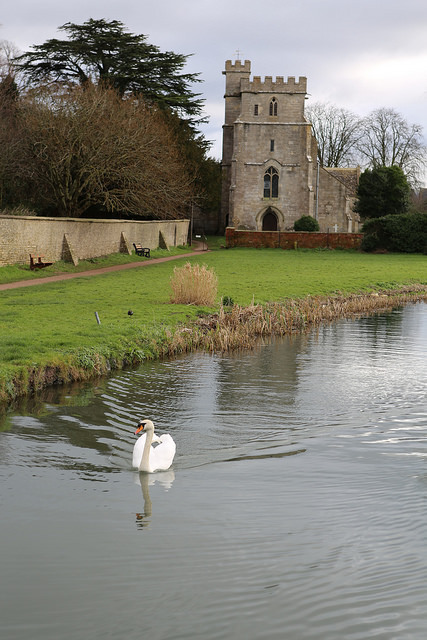 The canal and the river Frome have been inextricably linked since the first ideas for the canal were discussed in the early 18th century. The original Stroudwater navigation utilised the Frome for parts of its journey to Stroud and today the restored canal includes river sections. Consequentially, SVCC must be very conscious of our responsibility to work with nature and that all our decisions must have the natural environment at the forefront of any actions taken. Both the canal and the river must be well managed and the common vital resource, water, is a precious and important commodity. SVCC has adopted the most stringent and internationally recognised standards for the water that we use. SVCC must insure that we do nothing that can detrimentally affect the water quality, flow and volume. Any economic activities that are implemented need to demonstrate the minimum effect on the environment will be neutral. All restoration and maintenance activities that are necessary are fully assessed in advance of any action and thoroughly independently checked. Guidance from the Environment Agency, Canal and River Trust and the Inland Waterways Association, amongst others, must be strictly followed and implemented with regards to any environmental impact. SVCC has already recruited volunteer lengthsmen who patrol and report on their section of the canal. Training has been arranged for them to increase their biodiversity knowledge organised by Gloucestershire Wildlife Trust which includes identification and control of non-native invasive species. The scheme is being expanded to recruit a new category of volunteers to look after each lock. These new ‘Lock Keepers’ will look after the management of each lock which will include the natural environment. They will also generally raise the awareness and threat that such non-native invasive species to bio-security, ensuring that all users of the canal can help reduce the presence. All dredging operations will be carried out under strict industry guidelines and a policy document covering the limited disposal options that can be undertaken. SVCC has contracted a local independent soil sampling laboratory to carry out detailed tests and a robust and disciplined management structure has been established under which all dredging operations will be carried out. This includes strict adherence to the Environment Agency’s timetable to avoid the fish spawning season for the river sections. SVCC will work closely with the natural seasons to make sure that all maintenance work on the canal avoids any impact on the natural environment. Policies already in place include guidelines during the bird nesting season, the correct and safe way to control non-native invasive species and professional advice on all tree management issues. SVCC will control marginal vegetation along the restored canal sensitively, as well as types of trimming and pollarding of trees determined by the species. SVCC will also work closely with other trained and specialised voluntary groups to manage some of the environmental goals that Stroudwater Navigation Connected will deliver. These include the creation of broad margins along parts of the missing mile which will be planted with reeds and other aquatic plants, bird boxes and orchards. All assistance to these groups will be given where possible.